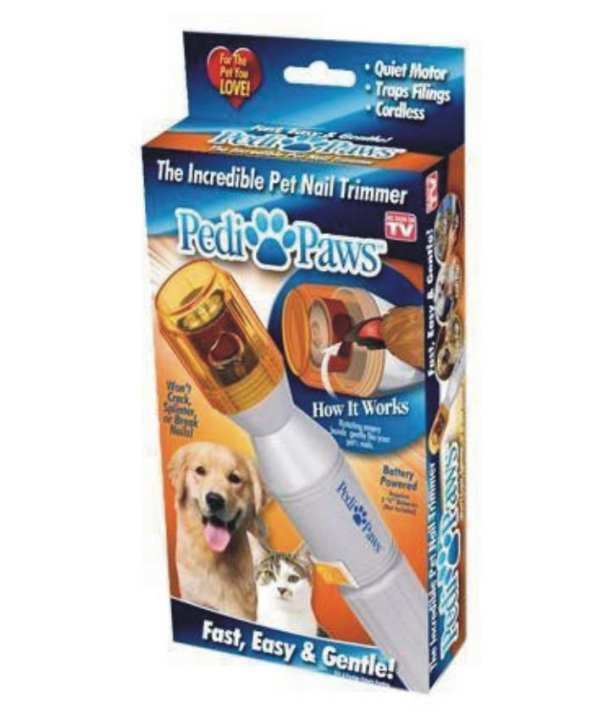 PediPaws is a revolutionary nail trimmer for your dog or cat that quickly trims, rounds and smooths nails with no mess and none of the pain of traditional nail clippers. A precision emery filing wheel gently removes thin layers of nail, while a unique protective cap allows only the perfect amount of nail to be removed and catches all the filings so there's no mess. Requires 2 "C" batteries, not included. Before using PediPaws, spend some time to properly introduce the device to your pet. This will make using PediPaws much easier once it's time to begin filing. The following steps may be helpful in making your pet more comfortable with the PediPaws. 1. Turn on PediPaws and give your pet a delicious treat. Move PediPaws close to your pet and give him or her enthusiastic praise. 2. As necessary, repeat step 1 each day until your pet is completely comfortable around PediPaws. 3. Now turn on PediPaws and have a treat ready. This time we will file the TIP of ONE of your pet's nails. 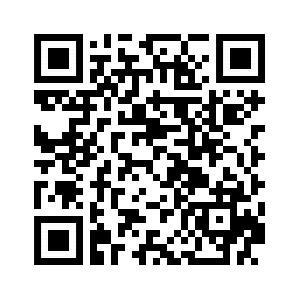 (Read the full instructions before use.) After filing, praise and reward your pet with a treat. 4. Next we will do one whole paw. Alternate nails and only file each nail for a few seconds. When finished, reward your pet with praise and a treat. 5. At this point your pet should be comfortable getting a full PediPaws pedicure. If not, there is a position to hold your pet that works even if he or she is uncooperative. Use PediPaws on a soft, comfortable spot like a carpeted floor, bed or sofa. 1. Take your pet's paw and support a single nail with your thumb and forefinger. This is essential. You must always support the nail before filing. 2. Always make sure the orange protective cap is screwed on securely before filing. Turn on PediPaws and insert a nail into the opening in the orange protective cap. Start gently filing the nail. File the nail for no more than 3 to 5 seconds at a time before alternating nails. Always alternate nails. This insures your pet does not experience any discomfort due to excessive friction. Always look at the nail after every 3 to 5 second filing. This will insure you do not file too much. Over filing can result in injury to your pet. 3. Always file in a rounded motion to give the nails a smooth blunt feel. 4. File the upper part of the nail in addition to just the bottom; this is the secret to a good PediPaws pedicure. The top portion of the nail is where most of the growth occurs and is usually the sharpest part. File the nail little-by-little until it is rounded and smooth. Turn off PediPaws, empty filings, wipe off with a dry cloth and store in a safe, dry location away from children. Remove batteries if it will not be used again for a period of time. is this also useable to foil african grey parrot nails ? yes...use to all type of parrots.